I’m so enchanted with the sights and smells of springtime that I was really interested to see what YOU were discovering in YOUR neighborhood! 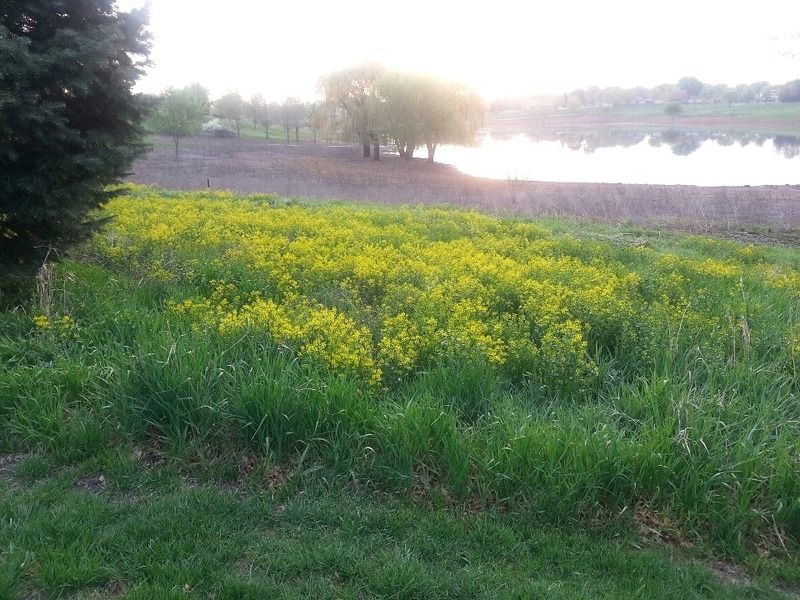 So yesterday, I threw down a quick challenge on my Facebook page asking readers to send me a springtime photo from their run/walk/bike adventures. 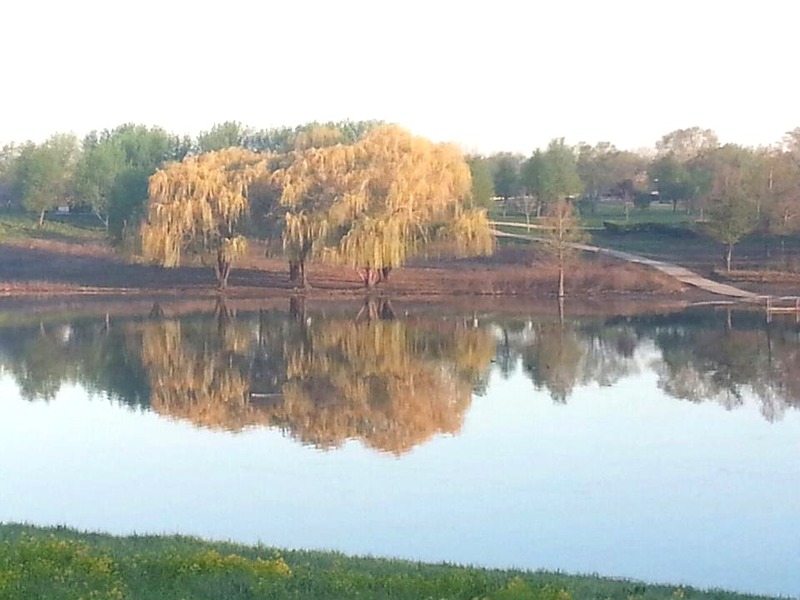 Deb M sent me a couple cool photos from her morning run at McCarthy Park in Tinley Park, IL! 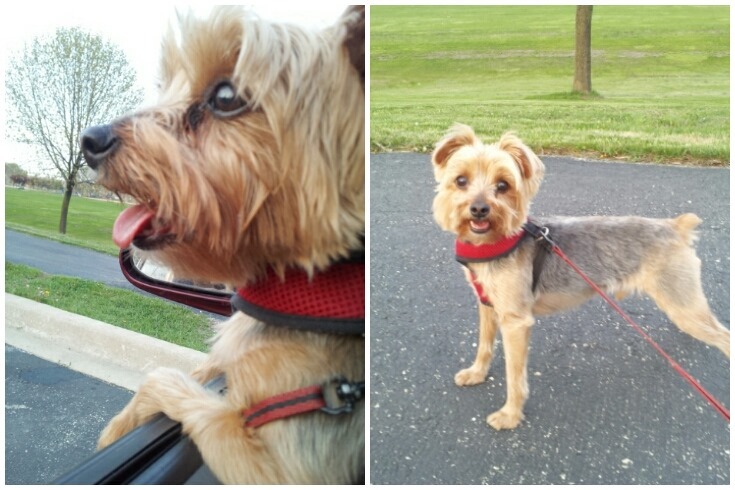 Kelly The Culinarian took a stroll with her pooch, Napoleon at Centennial Park in Addison, IL. 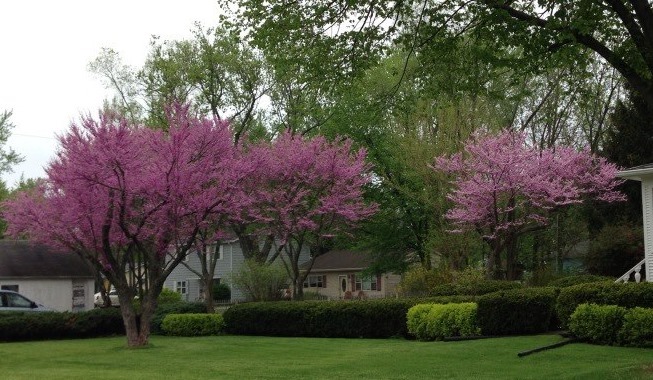 Keith G was running between the raindrops at Brookfield Woods, in Brookfield, IL when he spotted a beautiful flowering tree. Kelly over at Running Kellometers is taking it easy while nurturing the development of Baby #1; however, she didn’t have to put much effort into capturing an amazing spring photo. 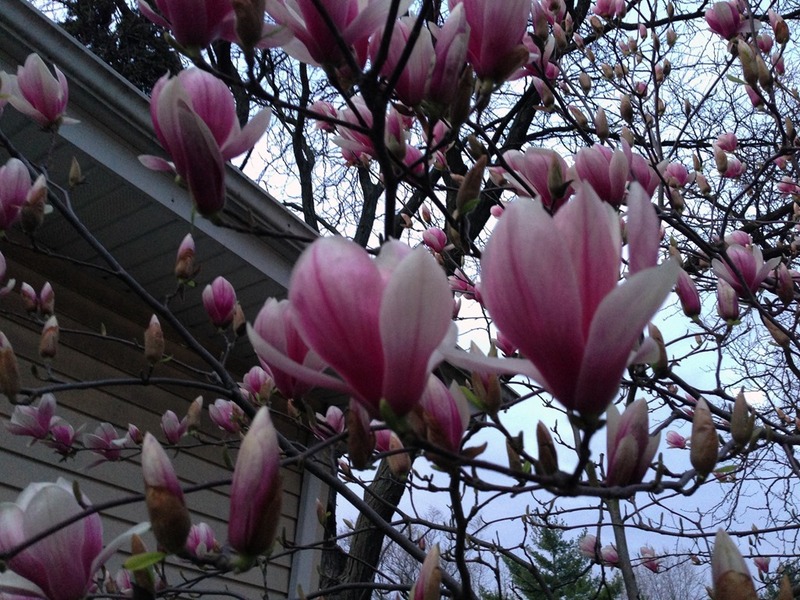 This magnolia tree is just outside her front door. Yes, I’m jealous. I think this is my favorite flowering tree. 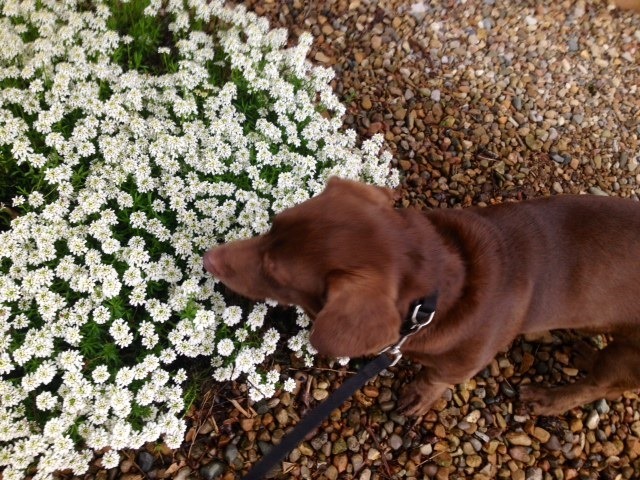 Christina P, outside of Indy, has been enjoying some time with her favorite 4 legged BFF. This little one doesn’t look like it will be moving up to the long run anytime too soon but it will definitely take first place for being such a cutie pie!! 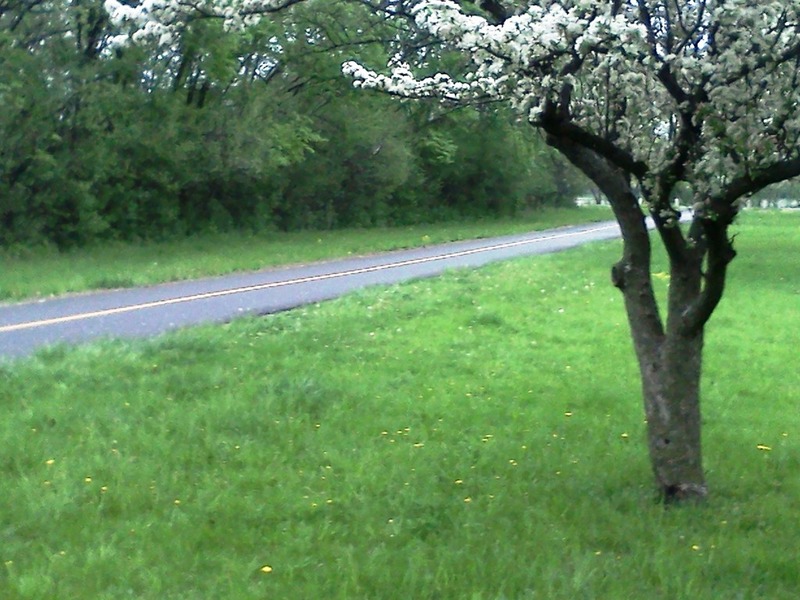 What spring means to me depends on the day. I’m a springtime “baby” so love spring by default. 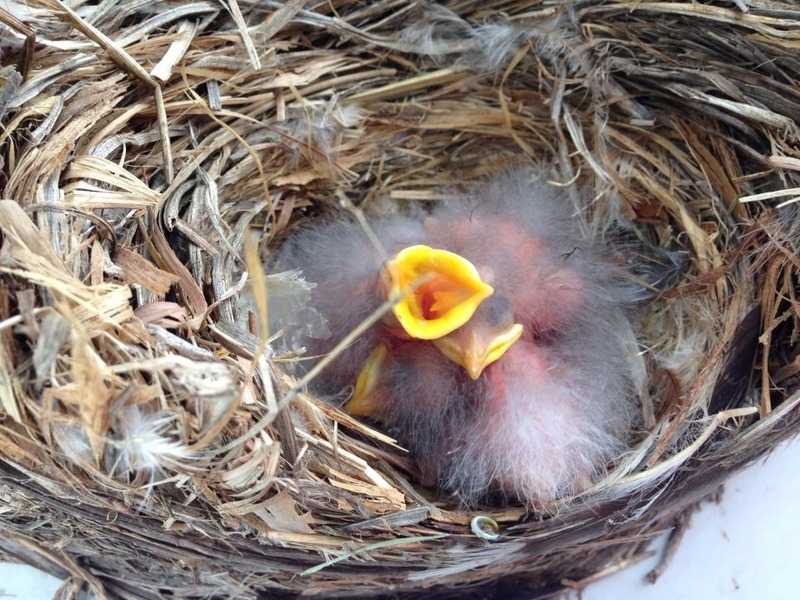 For me and my little ones, each year we look forward to baby birds, flowering trees and well manicured lawns. I also look forward to my lunchtime runs thru the city of Chicago and on the lakefront path. It’s all good when I’m running with the wind but it wasn’t so funny on the way back! My favorite days aren’t necessarily the sunny, warm ones but I have a particular love for the foggy, gloomy, rainy days like today. Mom, was it raining the day I was born? The gloom brings me cool running temps and fast feet. That I LOVE! So spring has definitely sprung in the Midwest and everyone I know is loving it! Get out there and enjoy the fresh crisp mornings before things turn hot and humid. 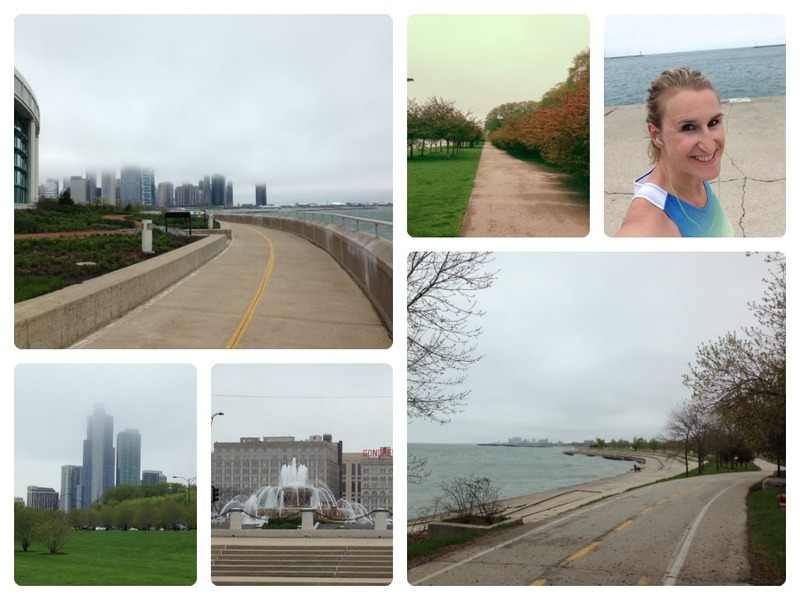 This entry was posted in Cycling, Running and tagged baby birds, Chicago, Chicago Lakefront Path, flowering trees, gloomy days on the run, rainy days on the run, Spring Photos by tootallfritz. Bookmark the permalink.